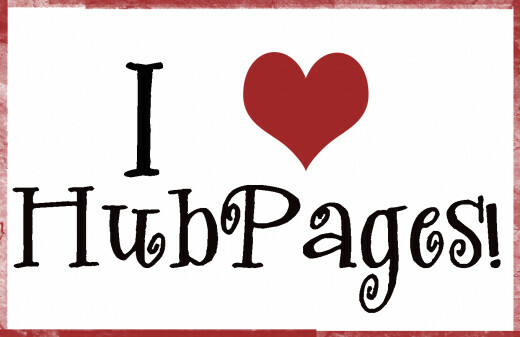 I've been a member of HubPages for 2 years now so this hub is long and terribly overdue. Lately I have been thinking a lot about how important it is for me to thank all of you who have taken the time to read my hubs, comment on my hubs, send fan mail, answer questions I have asked, etc.. HubPages is the best community of people I've ever had the pleasure to be a part of because so many of you have been genuinely helpful and truly seem to care. I've never found such a wonderful group of supportive people! I'm going to tell on myself a little bit here...In the past, it has been difficult sometimes for me to stick to something over such a long period of time but here at HubPages it has been easy and a large part of the reason for that is because of all the great people I've met and continue to meet here. Being able to make a little money is great too but the people here have proven to be much more of a blessing than I ever anticipated. If something happened that I couldn't come back to HubPages, I think it would be very difficult for me. There are a few people in particular I would like to mention. PLEASE, PLEASE, PLEASE forgive me if I miss someone.....I promise it isn't intentional. There have been SO MANY wonderful and helpful people here that it's been hard to keep track of everyone. I am quite sure that I may be forgetting some people here... if so, again please forgive me! If you do belong in this group, you know who you are and I truly thank you. I will update this hub if I happen to think of any people who were not mentioned and should have been. Since I've opened my account here, I have been lucky to have so many nice people who have visited and commented on my hubs, some of them multiple times. So recently I have been thinking about it and feel bad that maybe I haven't returned the favor enough or as much as I should have or maybe I missed some people completely. For a while it was hard to keep track of everyone and I didn't have enough time to visit the hubs of each and every person who left a comment on my hubs but I have always done my best to reply to each and every comment I've received letting the commenter know how grateful I am that they took the time to comment. Another thing I try to do is when I notice the same person commenting multiple times, I always try to go and check out their hubs and comment as much as I can as well. My learning here at HubPages has come in phases. First I was concerned about writing good hubs, then I focused more on the SEO part of it.. Then I got to the point where I wanted to just write and not worry about any of that so I've been doing that for a while. Recently, I've noticed a lot more sharing by followers so I really want to return the favor. My early experience with AdSense made me scared to do practically anything, especially sharing, so I was afraid for a while. Now it's been over 2 years, it's slowed down. Some of you may notice I comment on a few of your hubs at a point in time and then later a few more. That's because I'm actually having time to get caught up on my digest emails. For a while I couldn't keep up with them and had to delete. Now, I don't delete them if I get behind.. I save them and go through them when I have time. Also, I would like to share a little bit about myself.... I'm really a very shy person, reserved..with many insecurities (like many of us).. You'd think that since we are online and I don't actually "see" any of you that it would be easy to get in there and get to know people but I still find it difficult to reach out and get to know people but I'm really trying .... so please hang with me! I do find it easier to connect with the crafters here because it's one of my favorite things to do but I would like to branch out a little more. I've grown addicted to HubPages for real... and it would be very odd to me if I couldn't visit here anymore since this site has been in my life now almost daily for the past 2 years. Hopefully, I'll get to know more of you a bit better as time goes by. 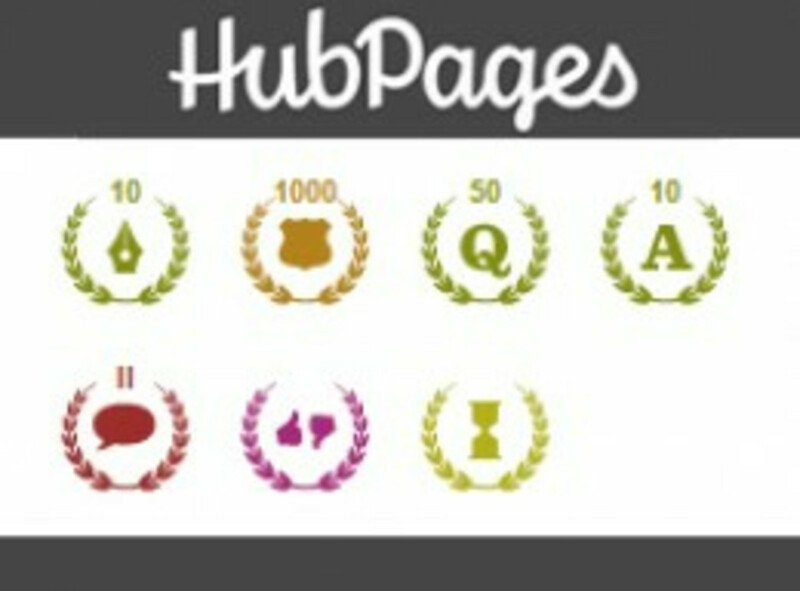 If you are new here to HubPages and just happen to be reading this hub, I wish you the best of luck here... You will never find a better community of talented writers. If you have questions, don't be afraid to ask... Someone will be happy to help. They always were for me. PS. After reading this back over this, you would think that I've won a Grammy or something, LOL! I have a tendency to get dramatic sometimes but I stand by everything I've said here... I'm just very grateful to be a part of this wonderful community and in all seriousness, I'm grateful for everyone who has been supportive along the way. Congrats on your two years of creative hubbing. You have a great talent . I have completed one year on HP, and will be continue to work here this year too. In the past year, I have not only learned so many things but also made good friends. agusfanani- Thank you :) I am so appreciative of your many visits to my hubs and love that we share that same passion of reusing/recycling materials and making them into things that are valuable and useful. I remember your many visits, starting from when I first signed up. I wish you many more successful years as well! Congratulations Jamie Brock. I'm so grateful and honored that I find you on HP so that I can learn a lot of things from your hubs particularly on those that I have passion, like you said, give added values to used materials through recycling. I pray for your continuing success in your writing journey in years to come. Vote up for this beautiful tribute. janshares- I am very grateful indeed :) Thank you for dropping by! Very nice tribute. Gratitude is a beautiful thing. Happy Anniversary! Congratulations on your 2 year mark. You have written some terrific hubs. Let's hear it now for Jamie! Applause!!!!!!!!!!!!!!!! Here is to many more fruitful years publishing here on HubPages! Thanks for the shout out! It's been awesome to meet some fellow crafters on HubPages, of course including you. Your hubs continue to inspire me. Congrats on a great two years here! Hi my friend, sending big congrats to you and wishing you many more years here on HP. Thanks so much for mentioning me and all you kind words has well they are truly appreciate ! I always have loved reading all your great craft hubs they are so interesting and informative . Have a great weekend my friend ! RTalloni- Thank you and you are welcome for the acknowledgment! You were the first person on the list and for good reason.. I can't thank you enough for supporting my hubs all of this time... and I still remember that make-a-flake snowflake maker website you told me about... I was over there the other day doing snowflakes! carol, I'm so happy that I made your day.. you deserve it! I really have enjoyed reading your hubs and always love to read your comments. You seem to be a go-getter and a real people person to me and I admire that... it's a quality I would love to see more in myself. I can't wait to read your anniversary hub- that year will be here before you know it! Irc7815- Thank you for your wonderful comment! I can tell just by your comment that you are a great writer and as far as crafts go, I bet you are more creative than you think! I am looking forward to hopping over and checking out some of hubs :) Thank you again! billybuc- Yes, you've been very supportive by stopping by my craft hubs.. thank you so much for that :) I guess the main thing I was thinking about when I listed you was because of how much I LOVE reading your hubs... especially the ones about all the things I learned in AA.. I was around those rooms for 13 years so you've been a blessing to me and remind me of things I tend to forget since I don't really go anymore- though I really should. I have been thinking a lot about writing some hubs about my experience with the alcohol and the steps- some experience, strength and hope kinda stuff. It's good to veer off of crafts now and then and if there's anything else that I would know about just as well as crafts, it's addiction and alcoholism. I just feel that common bond with you.. so thank you! Congratulations on your 2 year anniversary and thank you for the honor of being included in your acknowledgments! It's been neat to see what you come up with next and to share it with others. Thank you for following my work, as well. This hubbing is a continual learning experience and neat people are one of the best parts of the experience. I have to say I am honored to be included...You know we all love to feel cared about and recognized. I appreciate your honesty in your feelings and thoughts. I always do try to read your hubs...and I think supporting each other is what makes this the best place to write. You are doing a great job and to me it is a pleasure to know you. thank you for all of this..You have made my day..and keep doing that. Congratulations, Jamie. It's been a pleasure following you. I especially enjoy your craft hubs. And you've picked some really great hubbers to pay tribute to here. Best wishes on many more successful years here at Hubpages. Aww...thanks friend! You're so sweet and so talented a writer, crafter, and mom...you inspire me on so many levels that I am honored to be counted here....You write so well and are able to translate your own crafting into tutorials (something I find VERY difficult)...and your roundups do all the hard work of scouring the internet for awesome ideas to share...so keep it up! One day I'll catch up and write more, but for now, I just love getting my new Jamie hub notifications! Jamie, what a wonderful tribute to yoru 2 year experience here and, to the hubbers who welcomed you. Many of them are familiar to me as they did the same for me. I have only been here for 4 months and am just as addicted and endeared to hubpages as you are. I am envious of those who are crafty. I've tried many crafts in my lifetime but I'm not good at any of them. I do love to write though and am trying to develop it into a craft. I have a lot to learn. I do enjoy reading about crafts though and it helps me pretend to be a crafter. lol Congratulations on your 2 year anniversary. I look forward to reading your hubs in the future. Jamie, congratulations! I am only closing in on my first year here and have already experienced the benefits you mention. Lots of wonderful people here and many to learn from. You are a great writer and I enjoy your hub posts. I look forward to reading more of your posts this year. BTW, thanks for your mentioning my name here, I am honored. Take care and God bless you. Congratulations. Here is to your future successes. Congratulations my friend! You have become a force here on HubPages and early on you were someone I respected and admired. Maybe it's because of a common background we share, but I bonded early with you, and even though many of your hubs are crafty, I still felt it necessary to stop by and support you. :) I even learned a thing or two about crafts from you. Lastly, thank you for mentioning me. I was a bit surprised by the mention, and I really am grateful and honored that you would single me out. Best of luck in the future, and I look forward to sharing the next year with you. Awesome for you! Congratulations on two years! Hope to still be seeing you around for years to come!